CCTV or closed circuit television is becoming a very popular form of crime prevention for both internal and external theft. 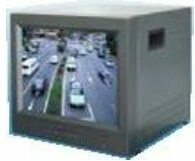 CCTV provides not only a visual deterrent but a tool for identifying the criminal and assisting the police with prosecution. The Lock & Alarm Centre can supply you with a range of indoor, outdoor and night vision cameras as well as DVR recorders, quad splitters, cables and monitors. Simply call into one of our retail centres to view our range and have a demonstration.